Defended Ulfung Village from the Jotun attack. Freed the Fjords from the curse of the Jokul. Liberated Flotnar village from the Imperium. Imps? We don't need no stinkin' Imps! Completed Vikings: Wolves of Midgard as the Warrior. Completed Vikings: Wolves of Midgard as the Shieldmaiden. Demonstrated an extreme dislike of Tomte. Helped Volund become a Master Smith. Helped Skallagrim complete his magnum opus. Struck fear into the hearts of the Jotun. Spilled four foes blood at once. You have united the clans into one and they look to you! Caused havoc in Iron Guardian form. Nothing comes between a Viking and their loot! You have soaked the land in the blood of your enemies. Received all the gifts of Loki. Received all the gifts of Odin. Received all the gifts of Skathi. Received all the gifts of Tyr. Received all the gifts of Thor. Even Fardain starts to fear your next visit! You did not leave a single stone unturned in Vikings: Wolves of Midgard. A weapon without runes is not a weapon worth wielding! You and Frakki can speak to each other in fluent Runic! 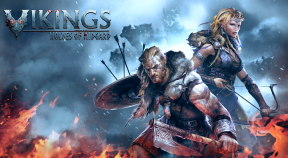 You completed Vikings: Wolves of Midgard undefeated. You accomplished highest challenge of Vikings: Wolves of Midgard.